Robin Hood Gardens has probably gathered to itself more mythology than any other social housing in Britain, certainly than any other in London. The commission from the Greater London Council was given to the architects Alison and Peter Smithson in 1966, work started on site in 1968 and the buildings were occupied by summer of 1972. The previous history of the site had been one of successive waves of unsatisfactory housing and it remained difficult, being located between very busy, noisy roads and adjacent to increasingly derelict docks. The final design provided 214 dwellings each exceeding the then mandatory Parker Morris standards, 70% of them having garages which were accessed from a basement level moat on the outside of the development. Overall density was 142 persons per acre, higher than the requirement of 136 ppa but allowing for an intended lower density development to the north. The two long buildings were sited parallel to the noisy roads to east and west, enclosing a zone of quiet, landscaped with mounds in an abstraction from the rural landscape. Play pits were included in this area. Bedrooms were located on the inner side of the blocks along with dining kitchens from which children at play could be supervised. Living rooms were placed on the noisier outside along with the access decks at every third floor. Flats entered from the decks wrapped over or under the deck. The decks themselves were intended as social spaces where householders could personalise the space immediately outside their front door, conversations could take place and children play while buggies could pass people in conversation without disturbance. Whether this, an attempt at providing for a continuation of east end street life really worked has been contentious. Perhaps street life died as the home became a better site for social life. The buildings were designed for in situ reinforced concrete construction but changed to concrete panel floors and cross walls with blockwork party walls and dry partitions. External facing was in fine concrete. A colour coding was applied to stairs and lift lobbies, front and balcony doors, effectively lightening the visual weight of the concrete and providing aid in navigating the buildings. Robin Hood Gardens has had a consistently bad press. Early architectural judgements tended to applaud the theory behind the access decks (‘streets in the sky’) but regret the realisation. The Smithsons themselves were distressed by early vandalism; in the 1990s the drug dealers moved in. The design of Robin Hood Gardens broke most of the rules for good urban housing promoted in the much publicised theory of defensible space. Governmental restrictions on local authority spending ensured that it was not fully maintained. The place is now at peace but the widespread distaste for concrete has ensured that the problems visited on it are still frequently blamed on the architecture. There have been significant changes to the buildings. In 1995, prompted by the security situation, the entrances were enclosed and a concierge office built at the north end of the west block, all to designs by LBTH in-house architects. The landscape, too, has been altered. The little play pits have disappeared, a new play area has been made, and a millennium project brought planting and a spiral path to the mound, topped with a rough sun dial. The sundial, too, has disappeared and the planting has gone wild. In 2006 LBTH began considering the future of Robin Hood Gardens. A surveyfound structural issues and estimated cost per flat of £70,000 to achieve ‘Decent Homes standard’. A survey of residents found 75% in favour of demolition and regeneration while independent surveys found otherwise. Campaigns in favour of giving Robin Hood Gardens listed building protection failed and a five year Certificate of Immunity from Listing was issued by government and renewed after it expired in 2014 despite a second campaign calling for listing.. Both buildings of Robin Hood Gardens are now to be demolished, the west block in early 2017 and the east a couple of years later. The estate will now form part of the £300m Blackwall Reach regeneration project; a joint project between Swan Housing Group and Tower Hamlets Council. The extended site of the project is to replace Robin Hood Gardens’ 214 homes with 1500 in a phased ten-year programme. Half of these are designated ‘affordable’ and we understand there will eventually be more social rented homes than at present. Early designs met with strongly negative criticism but with new architects there have been changes. The design for the Robin Hood Gardens site now follows closely the plan lines of the original and preserves the central landscape mound. In September 2016, members of the Transition Project organised the exhibition, ‘Robin Hood Gardens: out of time’, which included tours of the building during Open House London. 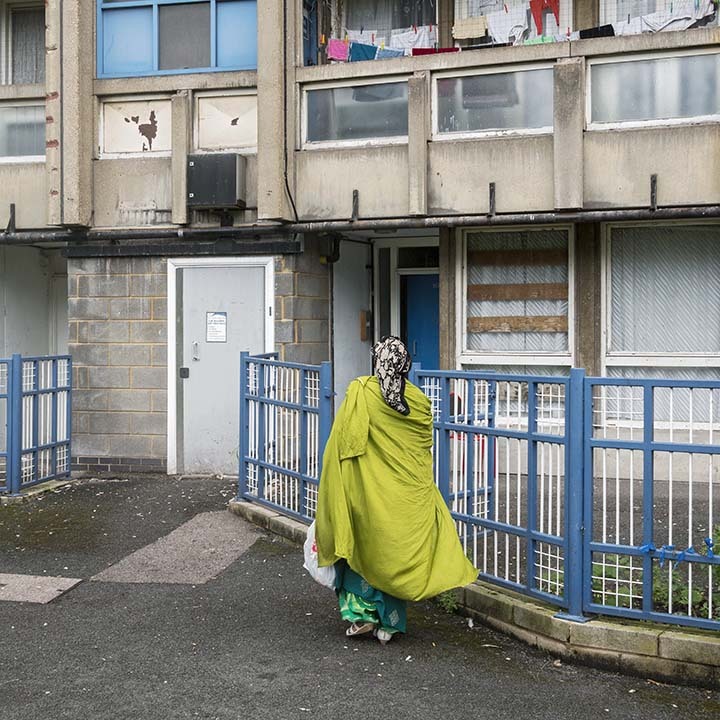 The Transition Project is a collective of photographers, both professional and committed amateurs, documenting change in the urban environment, particularly with reference to housing. Our previous exhibitions have been ‘Balfron Tower: an unrealised future’ (Balfron Tower, September 2014) and ‘Estates of Mind’ (Chrisp Street Market, April 2015). 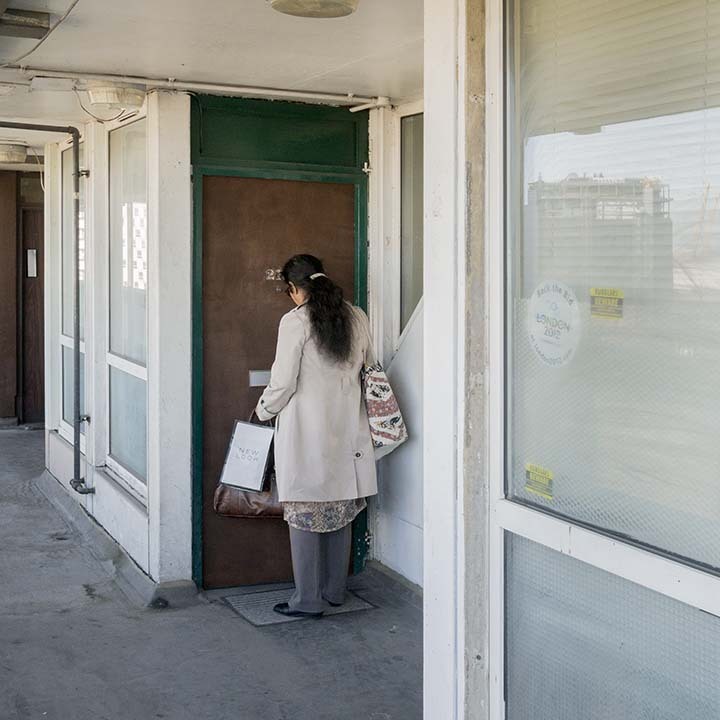 This website forms part of a long-term body of work around Robin Hood Gardens which combines photography, videography, archival investigation, ethnographic research and sociological study into the past, present and future of this iconic estate. We intend to objectively document the changes to this 'charged void' over coming years with a view to exploring how the fate of Robin Hood Gardens fits into wider discussions about London housing, architectural heritage and urban regeneration. Please subscribe to our email newsletter below to be updated about our findings.